Well, it would seem as though extraterrestrial parasites are invading the Earth. Don't you just hate it when that happens? They're impersonating friends and relatives in order to try and move stealth-ily through the populace. But their plans have been found out. Now it's up to you to stop them before their invasion plans can go any further. But how will you know which characters are actual friends and which are parasites? ... Uh, that's a bit tougher. 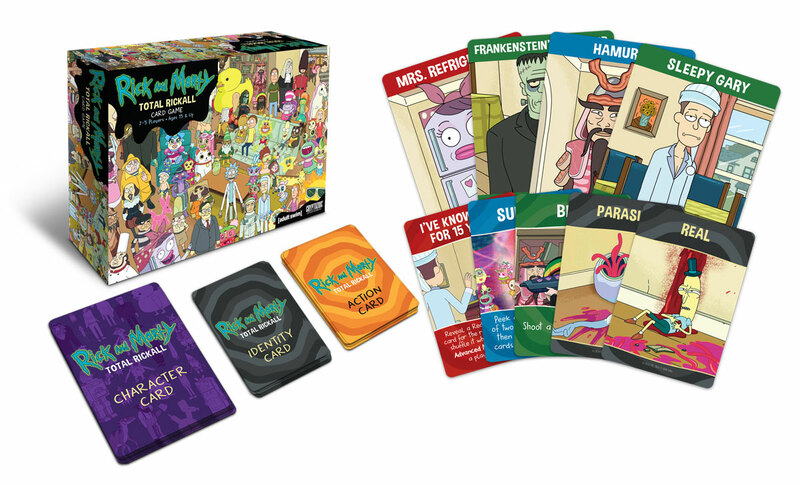 That's also the story behind Rick and Morty: Total Rickall, the new card game from Cryptozoic based on the Rick and Morty cartoon. It's also available now. 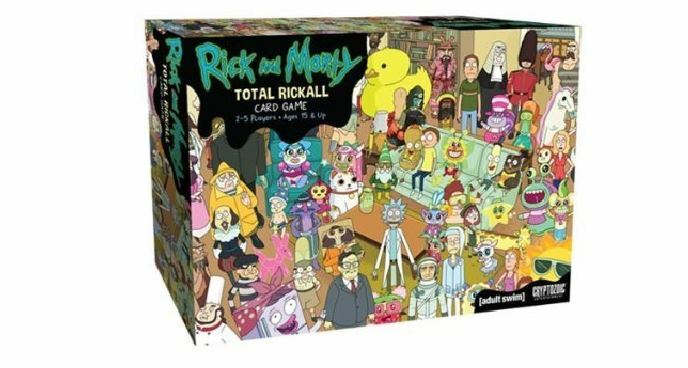 The game includes 90 game cards, with 24 oversized character cards. There's the rulebook and game token as well. The game is fully cooperative and has two different modes of play. There's normal as well as "advanced" where characters have hidden roles to play during the game.